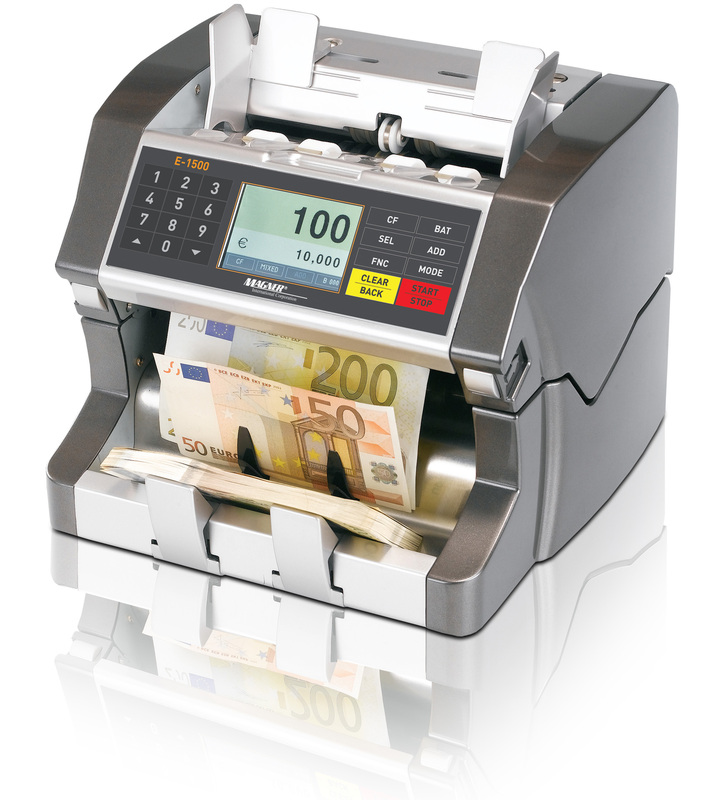 The Magner E-1500 Currency Counter offers outstanding performance at an affordable price. The Magner E-1500 is a sophisticated counterfeit note detector using full line CIS, UV, FL, MG, IR and 3D size detection. 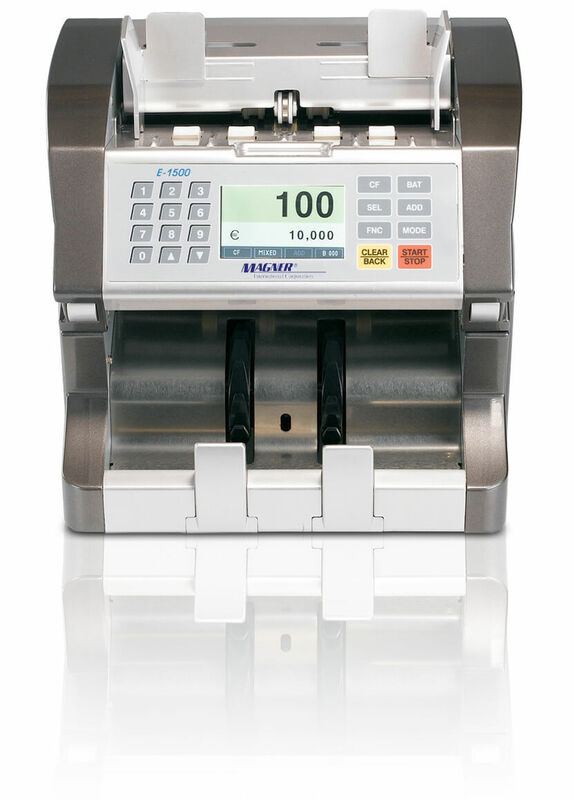 Compact, durable, and highly portable, the Magner E-1500 is an excellent currency counting solution.